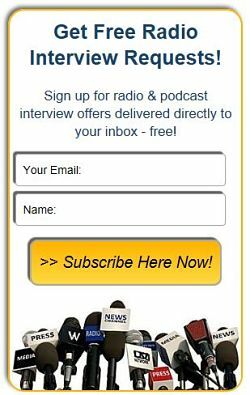 Advertise with RadioGuestList.com - Radio Guest List.com - How to Get Radio Interviews and Find Podcast Guests! Want to reach thousands of authors, celebrities, marketers, broadcasters, podcasters, and publicity industry professionals? We have a worldwide email list and a very popular website that exclusively target potential customers like these. If you have a product, service, book, or client who could benefit from outreach to this audience, we'd be happy to talk to you about advertising with us to reach your sales goals, too. Learn about our Featured Guest Expert Sponsorships here. Learn how to be a Featured Public Relations Firm here. For anyone interested in reaching our audience here. And, if none of these options fits your current needs, please just email us. email us today at ads @ radioguestlist.com.